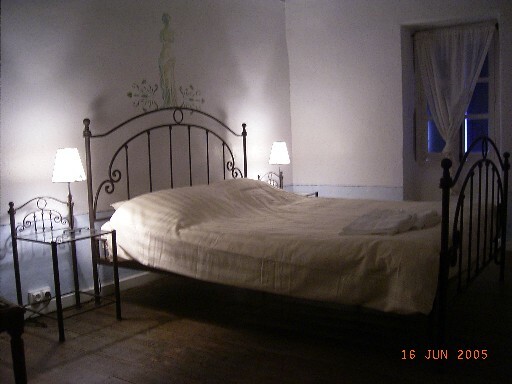 La Ferme de Pauroux is a Bed & Breakfast (chambres d’hôtes) with 4 enjoyable guestrooms, all situated on the first floor of the ancient farm. Authentic elements of this typical French farmhouse have been preserved and create a warm and pleasant atmosphere. 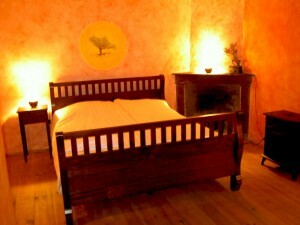 All the rooms have a view of the surrounding hills and the charming village of Poët Célard here in the Drôme. 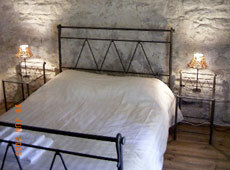 There are two-, three- and four-bedded rooms. 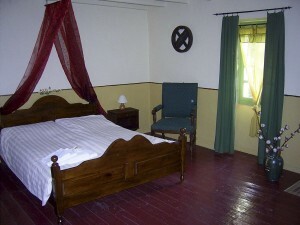 A familyroom which consists of two communicating rooms and private shower and toilet. This room is suited for 2 to 4 persons. A guestroom with shower and toilet in the hallway. There is a washbasin in the room. There are only two rooms that use the shower and toilets in the hallway. As there are two toilets each room has its own toilet. This room is suited for 2 to 4 persons. This room has shower and toilet in the hallway. There is a washbasin in the room. There are only two rooms that use the shower and toilets in the hallway. As there are two toilets each room has its own toilet. This room is suited for 2 persons. A guestroom with private shower and toilet. The room is suited for 2 to 3 persons. Enjoy the typical French atmosphere with today’s comfort.